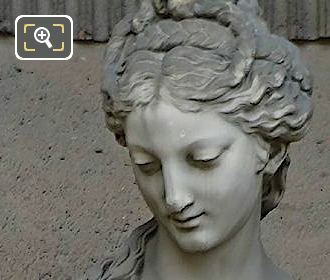 We were again at the Musee du Louvre in the 1st Arrondissement of Paris, when we took these high definition photos showing a statue called Leucothea, which was sculpted by Jean Jules Allasseur. This first HD photo shows the statue called Leucothea, and in Greek mythology she was a Sea Goddess who would come to the aid of sailors if they were in distress, and this was sculpted in marble and placed on the South Wing of the former Palais du Louvre back in 1862. 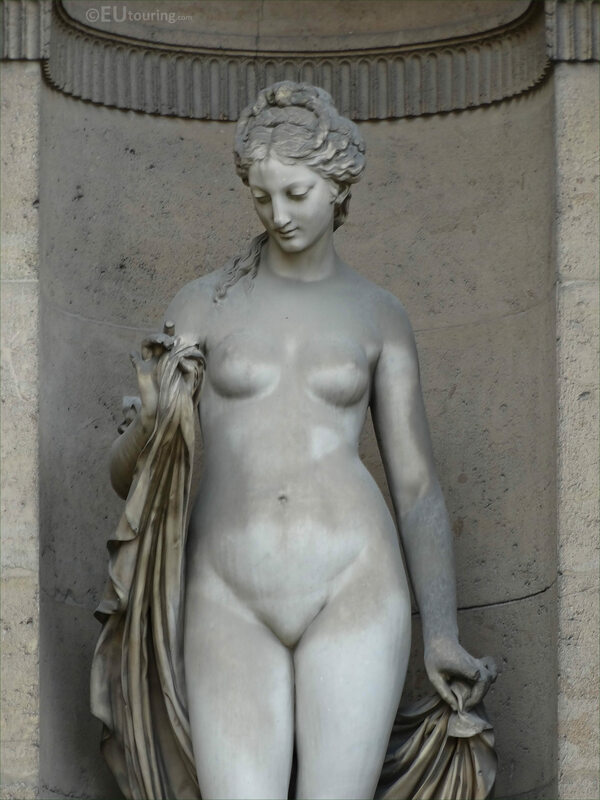 The Sea Goddess Leucothea statue was produced by Jean Jules Allasseur who was born in Paris in 1818 and studied under David d'Angers, then entered the Ecole des Beaux Arts in order to become a French sculptor and produced numerous portrait statues. 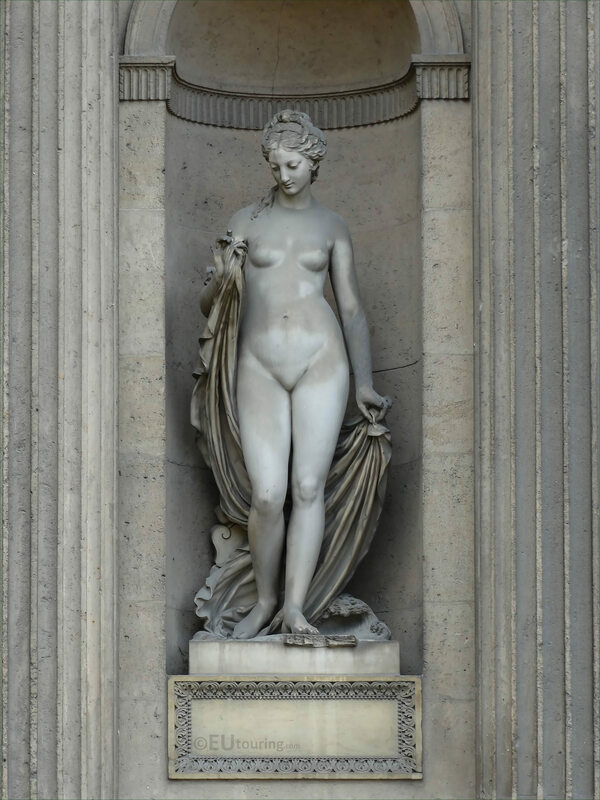 In fact, Jean Jules Allasseur sculpted five different portrait statues for the Louvre Museum, with this one of Leucothea being one of them, along with another for the Hotel de Ville plus busts for a theatre in Cherbourg. 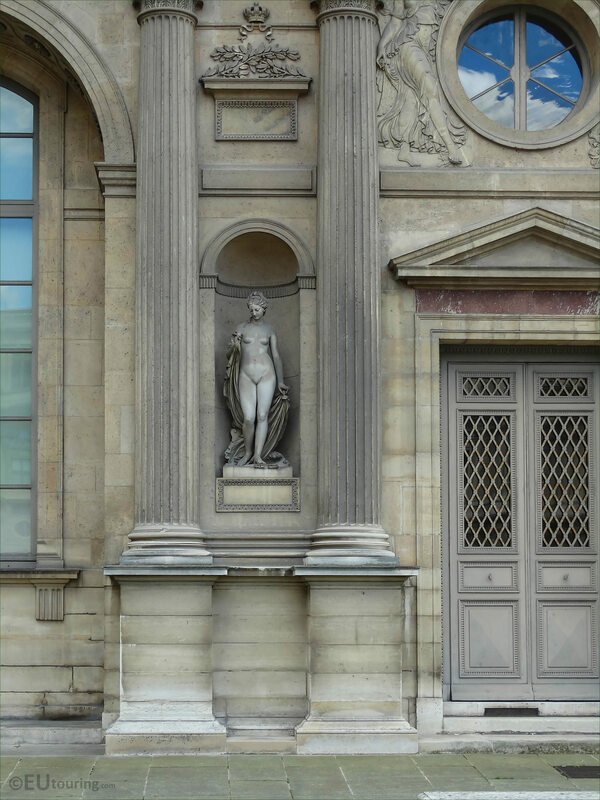 Yet through an eye disease and going virtually blind, unfortunately he was unable to continue his career and stopped presenting at Salons in 1870, but Jean Jules Allasseur did not pass away until 1903. However, this photograph shows the location of the Leucothea statue positioned within a niche of the facade of the Aile Sud, and when you are looking at this wing from the courtyard of The Louvre called the Cour Carree, you will see that this is the second statue from the left hand side on the first, or lower level.